At a time when a debate is raging over whether the Dalai Lama's reincarnation will be from India or China, the spiritual leader has sought to put an end to the controversy by saying that till the time there is suffering in mankind he will reincarnate and the place of reincarnation would be the one where there is maximum suffering. Days ago, the Dalai Lama had said that his successor could possibly be from India, which invited a sharp retort from China who stressed that the successor of the spiritual leader has to be approved by them. These assertions faded into the background when the Dalai Lama on Thursday explained that the concept of reincarnation is attached to compassion to reach out to those who are suffering, indicating that it stands bereft of any political colour. “What if I live for another ten-fifteen years? Then I think the political situation in China will change. But if I die next year, then of course, the Chinese government can say the reincarnation must be in China. My rise or rebirth does not necessarily have to be in one particular place. My belief is that as long as space remains, as long as suffering of human beings remains, I will remain. The first Dalai Lama did not wish to be born in heaven, his wish was to be born where ever there is suffering... in any place where there is some possibility of extending help. My pledge and practice is also the same,'' he said. The Dalai Lama, who is not only the spiritual leader of Tibetan Buddhism but also considered the leader of the Tibetan state historically, said the China's image of him as a separatist leader is not only wrong but also based on wrong facts. He said he has always spoken about the need for both Tibet and China to ''live side by side''. 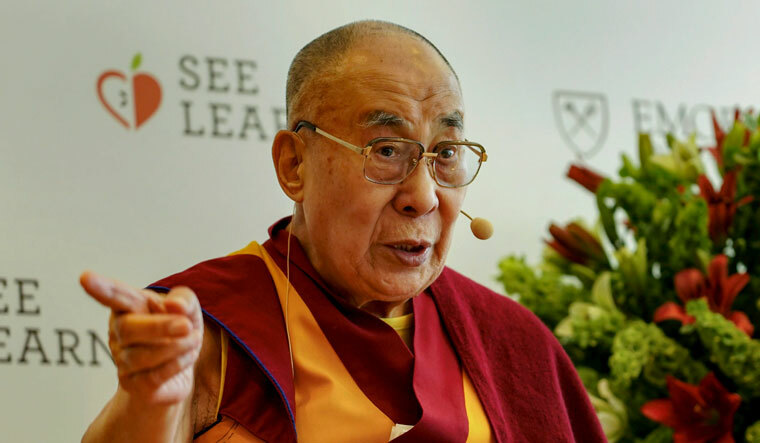 The Dalai Lama was speaking at the global launch of the SEE Learning (Social, Emotional and Ethical learning) Programme, a collaboration between Emory University in partnership with the Dalai Lama Trust and the Vana Foundation of India in New Delhi. The Dalai Lama said that the SEE programme will focus on making human values an intrinsic part of education which is very important in today's world where there is hatred in the name of religion. He said India serves as an example to the world with its secular tradition where spirituality can be appreciated and all religions co-exist peacefully.